Chennai: Sun Direct, the DTH arm of Sun TV Network Group, has started offering the cheapest high-definition (HD) channel packages in India as part of its aggressive strategy to push for adding HD subscribers by offering entry level pricing for new subscribers. The DTH service, which used to offer HD channels only as part of ‘base packs’ that came with a large number of standard-definition channels, has now started offering smaller packs comprising only HD channels. The prices of these channels start at Rs 10 and go all the way up to Rs 50. The Channel pricing of Sun Direct is considerably cheaper than the rates charged by its competitors like Tata Sky, Airtel Digital and Dish TV D2H. For instance, Airtel Digital, which pioneered the concept of HD pack add-ons, charges Rs 54 for the Malayalam HD pack, under which it offers two HD channels, according to its website. On the other hand, Sun Direct, under the new tariff has priced its Malayalam HD add-on comprising three HD channels at just Rs 10. Similarly, to subscribe to the 16 English HD movie and entertainment channels on Airtel, users have to shell out Rs 139 per month. In comparison, Sun Direct offers 20 English movie and entertainment HD channels at just Rs 50 per month. While, Dish TV charges Rs 84 for its English movie and entertainment pack, but offers only 13 channels in the bouquet. The new line-up also includes a Sports HD pack, which offers 9 sports channels, including four from Star Sports for Rs 50 per month, less than the price of a single Star Sports channel charged by several players in the market currently. The biggest player in the DTH market, Tata Sky, does not offer add on packs for its HD channels. Instead, it requires the user to first purchase a standard definition pack that contains all the channels that he wishes to watch in HD, and then pay additional charges of up to Rs 175 per month to watch the HD versions of those channels. To avoid paying for both standard-definition as well as high-definition versions, Tata Sky users can also buy the HD channels on a-la-cart basis. However, most of the HD channels on Tata Sky, such as HBO, Movies Now and Star Movies are priced at Rs 50 each, and purchasing 20 English movie and entertainment channels alone would cost around 750-800 per month, in addition to the cost of the base pack. 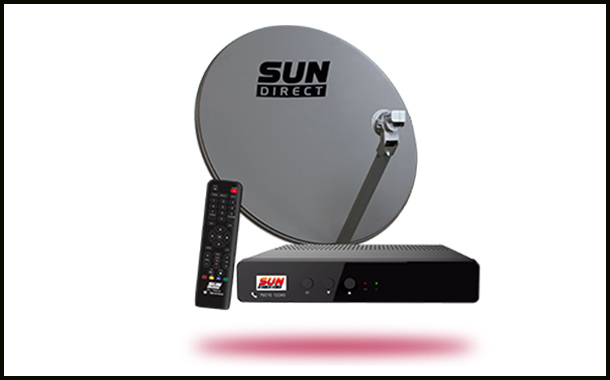 Sun Direct currently has close around 70 HD channels, making it one of the biggest distributors of HD content in India. In addition to the addons, the company also offers nearly all the HD channels on its platform for Rs 230 per month.